M12 Lenses, also referred to as S-Mount Lenses or Micro-Video Lenses, are board lenses used to focus an image onto a camera sensor. They are used in a variety of applications including automotive, forensics, pharmaceutical, and food inspection. These S-Mount Lenses are compact imaging lenses designed for use with many small format industrial cameras. M12 Lenses are ideal for environments where space is limited or for OEM implementation. M12 Micro-Video Lenses are low cost alternatives to standard-sized imaging lenses. A camera without a lens produces no image; at best, it creates a grey and snowy artifact. Making the right choice when it comes to the precision lens is one of the most important criteria’s in the selection process. When it comes to the right choice for C-Mount or F-Mount components, there are general rules of thumb that are followed. However, when it comes to the choices for M12 mounts, the selection is more complicated, as the variety of sensors and lenses is much greater. 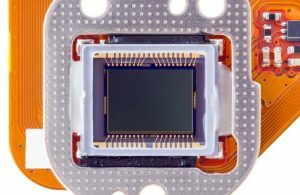 Smaller sensor sizes and lenses like the M12 are very popular because of the continued growth of Embedded Vision; meeting the demands of miniature design needs. In most cases, lenses in an M12 mount are wide angle lenses that enable similar field of views (FOV) compared to F-mount or C-mount setups; that is, short working distances and/or wide FOVs. However, a wider viewing angle is needed in a miniaturized system to achieve the same field of view as a C-mount lens setup. In general, only few tele lenses are available as M12 lens mount. The lens market provides customers with a very broad variety of M12 lenses for every sensor with a large range in the fields of view (FOV). Field of view – Usually, the required focal length is calculated with the field of view (FOV) and the metric working distance. However, most calculations consider a stereographic projection, whereas wide angle lenses can use a different type of projection. The field of view, in the case of M12 mount lenses, can have a variety of distortions. It is important to measure the field of view in degrees to remain independent of the lens design for wide angle or fisheye lenses, instead of the metric focal length. Sensor size –The lens’ image circle must completely cover the sensor to deliver the best quality image, without any shading or vignetting. Conversely, if the sensor size is smaller than the lens’ image circle, the field of view is “cut out”. The smaller the sensor size, the greater the variety of M12 mount lenses, especially for Fisheye type lenses with FOVs up to 180° or 200°. The sensor upper size limit is usually 2/3”, without special modifications. Working distance – Generally, M12 mount lenses are optimized for a specific working distance depending on the application. Lenses for security and automotive applications are optimized for a working distance of more than 0.5m; field curvature can occur if these lenses are used for shorter working distances. Lenses for close-up applications like any type of scanning, are designed for short working distances. Environment – The environment perhaps should be the first thing to consider. Are there shock and/or vibration issues with the application? Is there expected movement for cameras installed on robot arms; on the backs of horses; or on cars? Is direct sunlight or the type of illumination the criteria for choosing a lens? Some applications might need glued and fixed components, extra color filters, or wavelength correction. In passport readers, for example, the lens must deal with visible, infrared, and UV wavelengths. In surveillance scenarios, for example, the necessary detection of any object in every corner requires a distortion-free lens. Often, in both automotive and medical applications, ISO certified lenses are obligatory. In robotic applications, the depth of field is very important, and in extreme environments, for example, a customer might need to observe the range of minimum and maximum temperature. Lenses that are suitable for the M12 mount cover a wide range. Regardless of the required mount, the precision lens remains the deciding factor for directing light information the sensor, and must be considered the baseline for a successful imaging system. Universe Optics is the right choice when it comes to design, engineering and manufacturing of this particular lens.